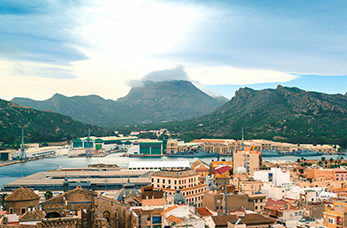 The port of Cartagena features a fabulous natural harbour which has been used for thousands of years. You will be able to stand on the battlements of the castle that overlooks the city where you'll be able to discover the history of this fascinating coastal city. Designed by Spanish architect Rafael Moneo, visitors can tour the museum and restored Roman theatre using escalators and underground tunnels running beneath the ruined cathedral. Explore the depths of the fascinating world of underwater archaeology and learn about the maritime history and cultures of the Mediterranean in this magnificent building. The Punic Wall Centre for Interpretation is located on one of the five hills that surround Cartagena, here you will be able to explore the city and discover it's 3,000 years of history. The Casa de la Fortuna (The House of Fortune), is home to the fascinating remains of a Roman house and provides an overview of hose life was for a wealthy family nearly 2000 years ago.